NBA fans are used to seeing the league's superstars buy and sell lavish, palatial homes with exorbitant price tags. It comes with the job description, because there's no real reason for someone who makes a maximum-level salary to skimp on his house. It's either that or getting a more reasonable home and developing a debilitating addiction to Faberge eggs. The money has to go somewhere. The Thunder superstar has listed his estate in the suburbs of northwest Oklahoma City. Durant purchased the residence in 2011 for $1.799 million and now looks to bank roughly $150,000 on the property if he gets his current asking price of $1.95 million. 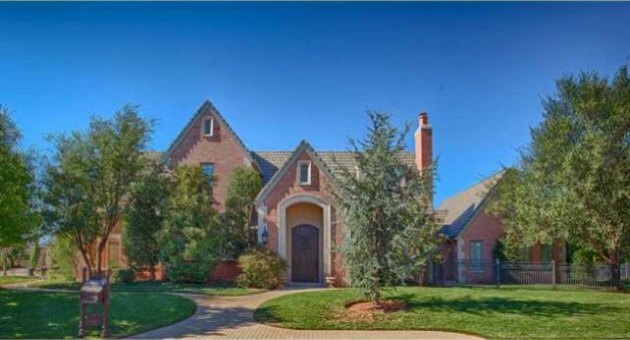 Located in Gaillardia’s exclusive and gated Club Villa neighborhood, Durant’s home is situated on a pair of lots that include a main home and a large guest house with a palatial pool area set in between. In all, the property offers five bedrooms, three in the main house and a pair in the guest house, four bathrooms and approximately 5,545 square feet of living space. Indoors, the main home sports vaulted ceilings with exposed beams, hardwood flooring and a contemporary spiral staircase. A chef’s kitchen comes complete with stainless steel appliances and a breakfast bar. The guest house has its own kitchen as well as a home theater. Durant’s decision to sell may be related to a pair of purchases the he recently made. According to a story in the Oklahoman, the Thunder star paid $1.769 million for a pair of brownstones in Deep Deuce, a neighborhood located just a few blocks away from Chesapeake Energy Arena. The two residences, which will be combined into one 7,400-square-foot spread, is also a short walk away from Durant’s new Bricktown restaurant, which is set to open later this year. Let's get real here. $1.95 million is obviously a huge amount of money, but when it comes to mansions it's actually fairly cheap. In my hometown of San Francisco, for instance, $1.95 million will get you a fixer-upper with a half-bathroom and exposed pipes (maybe even asbestos!). And you'd appreciate it, too, because you take what you can get. To put it another way, there are some pretty clear benefits to playing in a small market. Due to his on-court greatness, Durant is a very successful national figure not exactly hurting for endorsement opportunities. Yet, because he plays in Oklahoma, his considerable salary goes a little farther than it would in a city like New York or Los Angeles. As long as he figures out a way to stay in the national conversation, it's a pretty good deal.